The Southwest – Westside area is one of five unique sections of Costa Mesa. The north border of Southwest – Westside Costa Mesa is Wilson Boulevard, the south border is Newport Beach, the west border is the Santa Ana River Trail and the east is bordered by 55 Freeway and Newport Boulevard. The Mesa Verde section of Costa Mesa also borders the Southwest – Westside area to the north. Many neighborhoods in the Southwest – Westside area of Costa Mesa were built in the 1940’s and the 1950’s. Originally much of this area was zoned for industrial use. However, today just the area west of 19th Street is still industry and business related. Currently, the city of Costa Mesa is working on a redevelopment plan for this area, to bring revitalization and to add new housing to the area. Also, a large piece of this plan will be to develop many live/work concepts into the area. There are many distinctive communities and neighborhoods which make up the Southwest – Westside; presently they number approximately 43 neighborhoods. 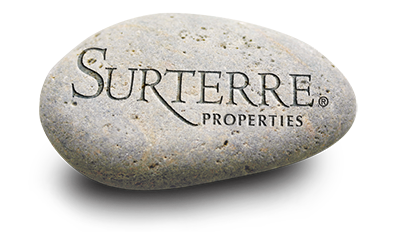 These neighborhoods are single family residential, townhomes and condo complexes. Amongst the neighborhoods built in the 40’s and 50’s are the charming communities of Freedom Homes and Canyon Park. The condo complexes and townhomes communities that are situated along Pacific Avenue are known for their spectacular views of the Pacific Ocean and Huntington Beach, due to their high bluff setting. Many companies call the Southwest – Westside area home, including Hurley Surf Wear, Volcom and RVCA. For local residents there are also many businesses that provide services such heath clubs, restaurants, shopping and entertainment. Southwest – Westside Costa Mesa is also where the Triangle Square Shopping Center is located. 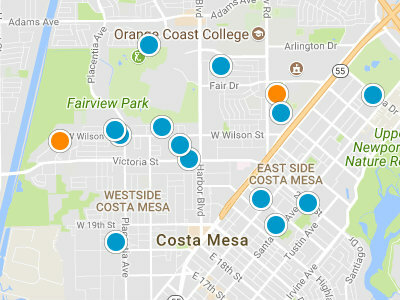 There are many parks for residents to enjoy in Southwest – Westside Costa Mesa. The Talbert Regional Nature Preserve is a perfect to observe local wildlife and native plants. The park is located North and South of Victoria Street between Pacific Avenue and the Santa Ana River. The North Talbert Park is 91.5 acres, while the South Talbert Park is 88.5 acres. The park allows areas for picnicking and recreation, the trail system links up to other parks, and there is interpretative signage provided throughout the park. Another wonderful park in Southwest – Westside is Canyon Park. This is a smaller park and relatively unknown, but is a true gem.